It’s the dawn of a new year and a new opportunity to start the year off right. Leave behind the stress of Christmas and bounce into 2018 in style at Arthouse Hotel and Mulholland Bar.There’s always plenty going on in Liverpool’s best movie-themed hotel and 2018 is set to be bigger and better than ever. Take a look at what’s on this January at Seel Street’s best venue. 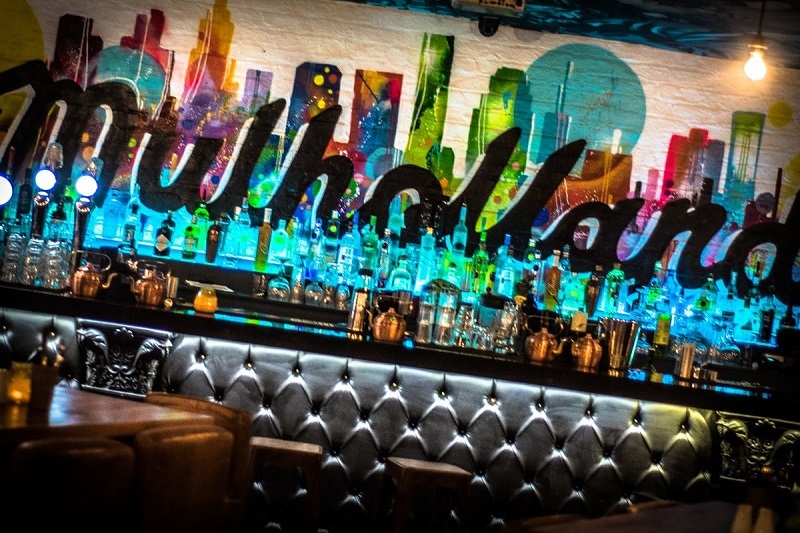 Mulholland Bar was launched last year with a fresh new vibe and stunning décor, pulling in inspiration from the home of the movies: Hollywood. With fantastic food as a given, there’s only one piece left of the puzzle to make it a perfect venue – live music. Luckily, we’ve got you covered. 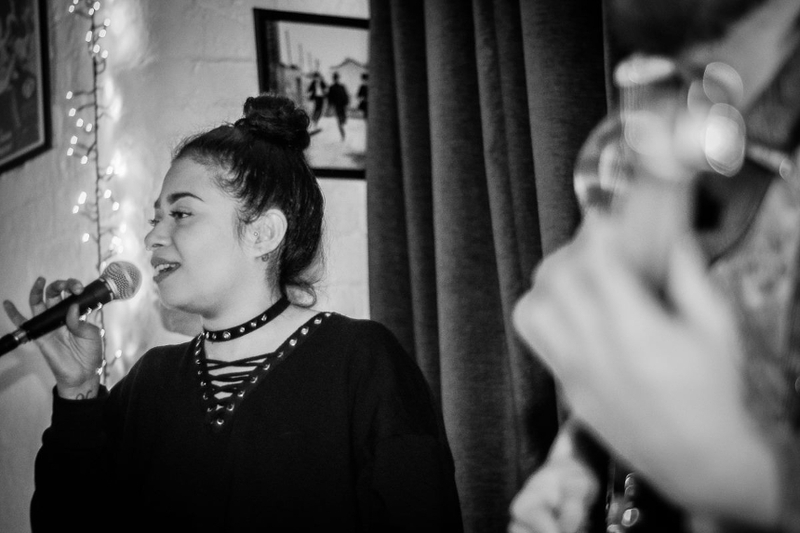 Every Thursday from 9 pm, some of Liverpool’s most talented up and coming musicians will take to the stage to wow all who step foot through the door. Pair this with plenty of drinks deals, signature cocktails and devilish spirits and your Thursday nights in January are set to be a winner. As part of our exclusive January offers, you can now enjoy a specially created package that includes an overnight stay in the unique Arthouse Hotel as well as a delicious meal at the highly-coveted Alma de Cuba. Stay the night in one of Arthouse Hotel’s movie-themed rooms, choose from a memorable musical, spooky horror or time-tested classic and enjoy luxury surroundings with an edgy twist. You can even expect a bottle of prosecco in your room on arrival! 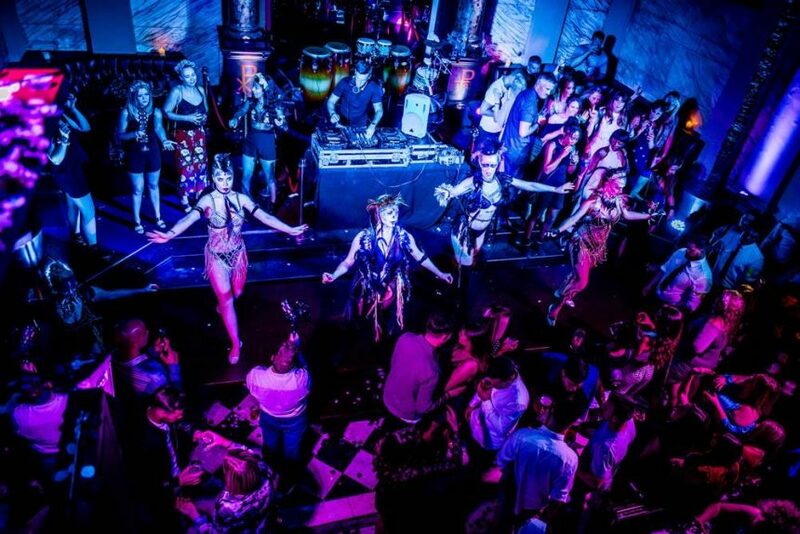 After checking in and being stunned by your suite, get your glad rags on and head to Alma de Cuba, which is just minutes walk away from the hotel. Indulge in a Caribbean inspired menu within the walls of the former church and marvel and the stained glass windows and breath-taking altar. As well as incredible movie-themed rooms, Arthouse Hotel is also home to the most stunning suite in the whole of Liverpool. 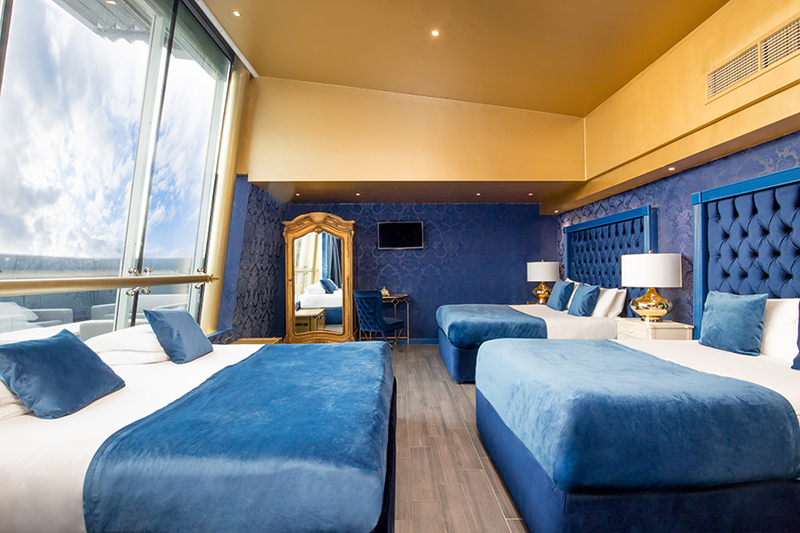 The Skyline Suites are situated on a high floor, giving the perfect opportunity for incredible views across Liverpool from the private balcony. In addition to the most luxurious balcony in Ropewalks, the suites have been kitted out in decadent décor that is sure to make you swoon. The dazzling party rooms are the most perfect place for making sure your new year is started the right way. January may have a reputation for being a miserable month, but it doesn’t have to be! There’s so much to be grateful for and take advantage of in the new year, don’t let the January blues get you down. Indulge in a cheeky night out and let loose to really banish the post-Christmas slump. Call our friendly and helpful team on 0151 541 9999 to organise a fun-filled night out, overnight stay or both! This entry was tagged Arthouse Hotel, hotel offers, Liverpool hotel, Movie themed hotel, whats on Liverpool. Bookmark the permalink.